I have a mage and I need tips I’m on the m3 400 floor … how do I get lucky? I also wanted to know what build I should use … I hope you help me, thank you very much. Link ur gear piece by piece plz… impossible to give you hint without having an idea of your build. 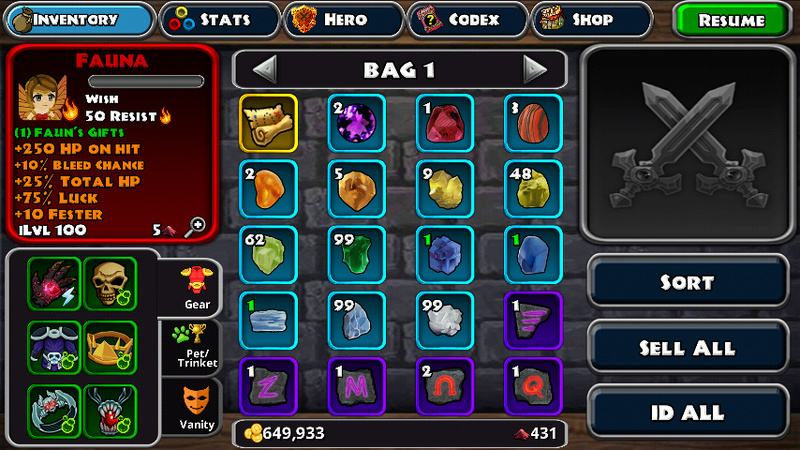 these are the Crystals that can be used on Eternal Items. M3 gives +350% Luck, Fortunate Perk +200% Luck, so you only need +300% Luck on your Equipment and/or Fortune Skill. changing your Natures to Luck might get you up to the +850% Luck. Eternal Items double the values of affixes, but most Crystals don’t work on Eternal Items. 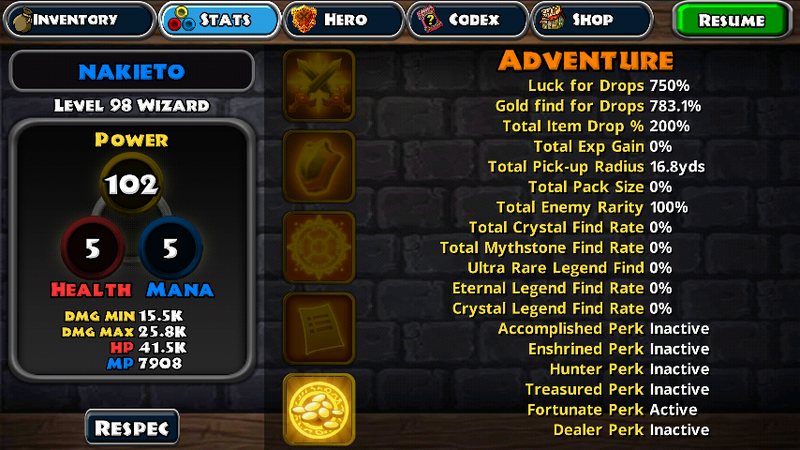 Legend Items can be crafted with all Crystals, so you have more flexibility. but the affix values are not doubled like Eternal Items. Crushing flames hireling with a item find main. Let the hireling kill the monsters.